Sailor Moon was essential to bringing Anime to the States, so in a way we are all indebted to it. Everyone who watches anime has heard of it and everyone who had an antenna, like me, growing up in the 90's HAD to of seen it before heading to school. That spot before or after Power Rangers in the morning? No matter who you are Nostalgia will get you. Maybe you hated it when your sister made you watch it back in elementary school and have had a change of heart but don't want to commit to the old, very long, awesome series. In that case this might be just for you. Maybe you're a long time fan and have way more up to date information than I do. Then this definitely is for you. So the news broke out on this story backaround the time of the France Japan Expo in 2012 and since then it has been a rollercoaster of events for any Sailor Moon fan. 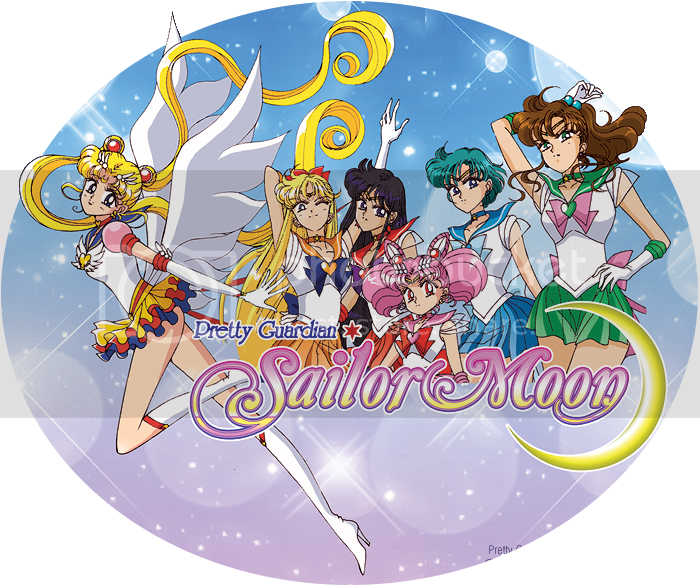 A few months after that series creator Naoko Takeuchi gave the news it was indefinitely delayed and all Sailor Moon fans felt their hearts sink. Fumio Osano, one of the Manga editors, followed by publicly announcing this via Twitter. Several months later those sunken hearts were lifted with the announcement that the show had a potential release date of Q4 2013 and it will be streamed on Nico Nico Douga. The following day minuscule details were released from the very same, Fumio Osano. What has been reported is that the show is taking the Sailor Scouts on a new adventure and the anime in a new direction. You can imagine his excitement in being able to announce this after the previous. What's also been released is that the girls from Momoiro Clover Z will be stepping up to create both the opening and ending theme of this nostalgic series. You might know them from their other work. Like the first opening for Pretty Cure. Check out their work at the bottom of the post. You can also bet that there will be plenty of chances to be exploited via must have merchandise products like Usagi's (Serena) actual earrings worn on the show. Bandai has stepped it up a notch with their marketing and has released the Sailor Moon inspired jewelry pieces. Other merchandising will include monthly released figurines and clothing. Aug. 7th Michael Mammano of DenofGeek.com reveals a few more details of the upcoming show. Details such as the interest of original voice actors returning and the actual direction of the show not being a remake but an actual new adventure. Post up any comments, concerns, exciting details and, of course, whatever you want to share. Spread the love that is anime! being a huge fan since before I even started school, I am totally stoked for this. But, due to the delays and iffy-ness of the new information--like the way some things aren't confirmed yet, but it's planning to be released in the Winter-- I am not expecting it to come so early, nor am I not expecting it. We'll see what happens. It's a masterpiece though and I believe set the bar for magical girl series. My question is simple why are they starting up an old Anime? Yes I know this Anime was great in it's time and even today but why is Japan reverting back to old Anime is the flow of ideas stopping like in America's shows today? A deeper question would be is the Anime industry just becoming another business as the people feed it? Also, I don't like that momoiro song. I don't know. The original creator for the series is taking part in the marketing. I don't know if he's taking part in the writing. It could easily be a business plan to make the greenback, but it could also be a business strategy as well as giving back to it's loyal fans. Not many anime have anywhere near the loyalty that Sailor Moon fans do. In fact the only show, I think, that comes close as a more modern show is... Naruto. Really. Don't flame me! haha. I imagine the direction will likely kill it for old die hard fans though. There's a high possibility, as you can tell from the theme song, that it will follow the route of newer maho shoujo anime. It'll depend on who the marketing demographic is. If it's high schoolers or junior high students, you're prolly outta luck. I kinda doubt they'd aim it at young adults. And I'm with you Com-Chan. I think it's a great step marketing wise, but I'm not the biggest fan of Clover Z intros. I'm not going to flame you. You are right. I'm just thinking of the profits the business will real in from doing this. I understand what you mean by "Loyal Fan' you will do anything for that fandom well that's just it are they taking advantage of their fans as much as their giving back. And even if it is pointed at schoolers the old fans will still be buying. This is going to make them a lot of money or back-fire depending on how they play their cards. But the reality of it is that this will bring in plenty of cash. Well said. For now, as Com-Chan stated, we can only wait for it to actually release. If it never gets off the ground then the company will have not only let down many loyal fans but as well wasted a lot of money after investing in such elaborate marketing plans like they had at Japan Expo. As someone who appreciates the series, but not as a die hard fan, I'm excited to see what they have in store for us all. Well said yourself we can only wait for what is to come. One thing is certain though even if it flops and fails with the old fans the younger people in middle and high school will eat most likely and cause them earn money either way. Looking for that perfect gift? Or just want to ice yourself out? Check out the new line up of Sailor Moon jewelry, hahaha. Bandai has released a few different pieces that are inspired by the hit series, Sailor Moon. They're actually getting pretty precise about it since you're able to purchase an exact copy of the earrings Usagi (Serena) wears in the TV show. But don't sweat it if you're not a Usagi fan. Sailor Pluto seems to be cashing in on the opportunity as well. A pendant shaped as her staff will be released for you die hard fans. But... Let's say you're a Sailor Mercury fan. Well then you're screwed for now. Have fun. Yeah Bandai's been releasing merchandise since I think last year. So, they've already made a considerable amount of money off of this, ya know? They just released a collection of shirts few days ago: http://www.crunchyroll.com/anime-news/2013/08/02-1/bandai-t-shirt-faces-the-sailor-moon-excitment. And now this! I want it all. I think the biggest, and also most expensive, is the new line of ball joint figures. Each scout is being released one by one. I personally think they're a bit ugly, but it's fine. Sailor Moon was the first one to come out, and they have more than one figure of her with different facial expressions. Of course one of which is crying, lol. I will be amused if it becomes big in the US. Seeing a bunch of little girls walking around with SM gear. Wonder how many younger moms were Sailor Moon fans back in the day. I have never been one for buying merchandise as I don't have the money. The most I'll do is buy one thing from a favorite series and that's it. I don't think sailor moon will be as popular as it was back in the day sadly due to bad reality tv shows gaining more views than cartoons now for american and most younger children sadly. I saw something about this. Releasing one figurine every month or so. It's a pretty cool idea. It'll definitely get collectors going nuts with anticipation. Though I do agree with you that they're not the best looking. Seems nowhere near the quality of a PVC, though ball join figurines are hardly anything close to that. And those shirts are actually awesome. I love the headshot two tone ones. Though I can't wear it, it's still pretty tasteful. Reminds me of any UniqLo x Anime crossover shirts. Oh, man. That's so gaudy. TOO gaudy. I'll add it to the list. So more is out on the new Sailor Moon series! Michael Mammano of Den of Geek.com reported several new details earlier today. Just a heads up. This is a pretty long article that's filled almost entirely with his opinions and theories. That being said, it is an incredibly fun read. Mammano touches on the many flaws of the Sailor Moon series and the highlights that happened to keep the show great for such a long period of time. So this might appeal more to you who are counting the days until launch. Mammano: "The anime’s cardinal sin was that it was positively lousy with filler, so a tighter storyline closer to the source material is a very attractive prospect on several counts." Personal insight gives the article a much wanted flare as well as more things to discuss in our own circles. The actual confirmed and speculated news consists of information related to when it will be airing on Niconico’s website, original voice actors showing interest but nothing concrete yet and the anime will be a continuation and not be a remake. This point alone will excite all Sailor fans. It means that the original will not be mutilated and all those nostalgic memories you have will remain unscathed. So as long as everything continues to go to plan and the English and Japanese voice actors come back, of course. More info to come as we approach the jump. On the bright side, nothing seems to be cancelled yet! I highly doubt they would cancel the series now; it will disappoint every fan out there for the series. Although not hearing any news about it like an actual release date sounds bad. I'm mostly gonna wait until we receive a teaser video. Or something more tangible outside of them saying what they're going to do. As of now there is no visual proof that there is a new series coming out. Heck, we haven't even seen concept art of potential enemies or anything. They're doing a fantastic job at keeping it hush hush. And I know how you feel. Many times I've been disappointed by a cancellation even when it felt they were close to releasing it.